These are questions we are often asked by IVF patients………. if you have any other questions, please email the clinic at info@acupuncturepregnancy.com.au and we will get back to you within a day. What do the needles look like? Acupuncture needles are made of high grade stainless steel and are extremely fine. Indeed many acupuncture needles can fit down the hollow section of a typical hypodermic needle used to take blood or give injections. All the needles are sterile, come in sterile packaging and are disposed of safely after a single use. Insertion of acupuncture needles is done with an insertion tube and is usually painless. The depth of insertion is quite shallow. Sometimes a sensation of a dull heavy feeling, or a tingle is felt around the point. How long are needles left in for? Needles stay in for 20 – 25 minutes. Most people find that the acupuncture treatment is very pleasant and invokes a deeply relaxed state. It is not unusual for patients to fall asleep during their session. Some people feel a little drowsy after acupuncture but this is transient and is usually remedied by eating and drinking something. How does acupuncture work in general? Very fine stainless steel needles are inserted in acupuncture points located along channels (or meridians) and produce specific reactions in the related organ system. In acupuncture terms, the needle influences the flow or movement of qi and blood. Early research indicated that acupuncture increased endorphin output (which accounts for the relaxation patients feel during and after treatment) but clearly there are other mechanisms of action, not yet well understood, which bring about therapeutic benefit. Sometimes leads are attached to the needles and a small electrical current is passed through them. The sensation may be barely perceptible but the needle is made to vibrate gently and stimulate the underlying blood vessels and tissues. Sometimes laser is used instead of an acupuncture needle. In this case it is the laser beam which stimulates the acupuncture point rather than a needle. Who will administer the acupuncture? The acupuncturists who work in the Acupuncture Pregnancy clinic are all hand picked, and trained in this field. They are all graduates of universities in Australia, hold a degree in Chinese medicine and are accredited by the government and by national professional associations. These practitioners have a special interest in reproductive medicine, do extra training in this field and attend regular upgrading and mentoring sessions. I would like to have acupuncture during my IVF cycle, but the thought of more needles is not a pleasant one. Is there any alternative? For some women with needle phobia we use laser to stimulate the acupuncture points, and ear points stimulated with small pellets. Should I have acupuncture before or after my embryo transfer, or both? While many of the early trials that examined the effect of having acupuncture on the day of transfer found an increased pregnancy rate, more recent trials have not found this to be the case. Nevertheless, IVF patients find that the relaxation and calm they experience with acupuncture makes the day of transfer a more enjoyable and special one. So where timing allows, we do recommend a treatment – either before or after. More benefit appears to be gained from having regular acupuncture in the lead up to the transfer – ideally 10 – 12 treatments. I don’t know which of all the different acupuncture treatment options to choose? If you are under 35 and you are well and healthy and not unduly stressed, and do not have a history of failed IVF cycles, then you might choose to have acupuncture if you feel stressed or fatigued. If you would like a bit of extra support then come once or twice a week in the month before egg collection. If you have had previous failed IVF cycles then think about doing some preparation with traditional Chinese medicine (acupuncture and herbs and lifestyle) before you embark on another IVF cycle. It may be the case that “preparing the soil before planting the seed” can affect outcomes. Is it a good idea to have acupuncture after egg collection? Some IVF patients have found that it is very useful to have acupuncture in the days following the egg collection. Local discomfort is often more marked after this procedure, because even though the eggs have been removed the hormone levels are still very high. The empty follicles often fill up again with fluid, so the feeling of abdomen fullness may persist. Some women experience cramping in the abdomen for a few days following egg collection; moving the qi with acupuncture may reduce this discomfort. We usually recommend resting after the egg collection procedure, and wait to see how you feel the next day. If you have discomfort then call us. How does acupuncture help relieve side effects? One of the things you hear a lot about in acupuncture circles is qi and blood flow. One of the aims behind acupuncture treatment is promotion of qi and blood circulation to help reduce swelling and discomfort. Thus IVF side effects like abdomen pain and swelling, headaches and breast soreness may be moderated. Regulating the movement of qi can also help to level out moods swings and reduces fatigue. How does acupuncture work to increase pregnancy rates in IVF patients? This is something we want to discover too. Some doctors think that the acupuncture performed at the time of embryo transfer reduces any uterine contractions which can reduce implantation rate. Some studies support this theory but others do not. The acupuncture points used after the embryo transfer are points which may have a moderating effect on the immune system, and thus may help implantation. It may be also be the case that a certain type of patient benefits from acupuncture and others don’t. This would explain the variability in the trial results to date. More research is needed to determine the mechanism at work. Will you be doing any research at the acupuncture IVF support clinic to determine how acupuncture increases IVF success rates? It is very important to us to not only provide a service which might improve the experience and outcome of IVF and other patients but also to try and find out exactly how this is achieved. We have participated in several collaborations with universities and research institutions and more are underway. My IVF specialist says my problem is poor quality eggs, can acupuncture help this? When your IVF doctor talks about poor quality eggs they are usually referring to the condition of the chromosomal or mitochondrial DNA. In women in their late thirties or beyond, this tends to show the effects of many years of accumulated damage. Small defects in the chromosomal DNA can lead to an increased chance of producing an unviable embryo with abnormal chromosomes. Defects in the mitochondrial DNA can lead to inadequate metabolic energy, which might compromise the survival and growth of the embryo in its first few days. There is little acupuncture can do in the case of DNA damage related to age. However looking after your general and reproductive health could help to provide a good environment in which the eggs develop. Some IVF clinics suggest taking antioxidants and we sometimes recommend Chinese herbs (before but not during the IVF cycle). You might like to consider doing some preparation before your next IVF cycle so that you can be in the best of health. I have responded poorly to the IVF medication in my last 3 cycles, and produced few eggs. Can acupuncture help me? A meta-analysis reached a similar conclusion. The last time I did IVF my ovaries were overstimulated and my cycle was cancelled. Could acupuncture prevent this happening in future IVF cycles? A meta analysis of PCOS patients undergoing IVF concluded that acupuncture may reduce OHSS incidence. Many patients who have acupuncture during the IVF cycle find that they experience less abdominal discomfort. I have been diagnosed with polycystic ovarian syndrome (PCOS). Should I have acupuncture on the day of transfer and/or during my IVF cycle? During the stimulation phase of IVF you may be slightly more at risk of ovarian hyper-stimulation than other IVF patients. Acupuncture may help to reduce this risk. Some women with PCOS produce many eggs but this does not necessarily translate into many viable embryos. If you have had a number of failed IVF cycles then you may like to consider a treatment programme to support your general and reproductive health before you embark on your next IVF cycle. I have been unable to conceive because of endometriosis. Is acupuncture appropriate for me? Endometriosis is an under diagnosed condition that can affect your ability to become pregnant. If you have had a laparoscopy, any visible endometriosis will be removed at that time. The window of improved chances of conception is only a few months from the time of surgical removal, so looking after your general and reproductive health during this time is important. Chinese medicine can offer you good support at this time. It can also be used by women with endometriosis who do not want to have surgery (or repeat surgery) with special programmes that are individualised to your symptoms and situation. Will acupuncture help me respond better in an IVF cycle if I have low ovarian reserve, high FSH or a diagnosis of premature menopause? Chances are your IVF specialist has told you that you are not the best candidate for IVF but if you decide to try a cycle or two then including acupuncture might make the IVF experience more pleasant and less stressful but it is hard to say whether it will lead to an increased likelihood of pregnancy. Some groups in China are researching the effect of electro-acupuncture on low ovarian reserve with interesting results, tho we await further trials before making any clinical recommendations. I am 45 years of age. Will acupuncture help IVF produce better results for me? Sadly, no. Few viable pregnancies occur at this age and those IVF successes at age 45 and beyond that we hear about in the celebrity pages are usually the product of donor eggs. Some women, particularly those who’s mothers and female relatives had babies late in life, have ovaries with more longevity than the average. These women will often succeed in having a baby in their forties without the help of IVF. Most reputable IVF clinics will tell you that once you reach 43, providing your tubes are OK and the sperm are in good shape, that you have the same or better chance of falling pregnant with the “at home” methods as you do with IVF. When should I look for an alternative to IVF in my quest for treatment for infertility? This is a question for you and your IVF specialist to discuss. Most reputable assisted reproduction clinics will counsel you to discontinue IVF treatment if you have completed 3 cycles and had a poor response each time (meaning that there have been few eggs or embryos produced). In this case, and if you have functional fallopian tubes,it might be appropriate to consider another approach. The IVF specialist says it doesn’t matter that my sperm are mostly the wrong shape and cant swim well or fertilise the egg, because the embryologist will choose a sperm and fertilise the egg using ICSI. So why should I have acupuncture? There are a number of IVF clinics that use intra-cytoplasmic sperm injection (ICSI) routinely now, dispensing with any normal sperm fertilization at all. However some scientists feel that letting the most vigorous sperm in the Petri dish fertilise the egg, or letting the egg choose a sperm, preserves the last vestige of natural selection that is left in this brave new world of reproductive technology. If you wish to try and improve your sperm function with lifestyle changes or different treatments then it may be well worth the 3 months preparation time. In Chinese medicine vitality and health of the sperm are considered just as important as that of the egg. How can I support my wife going through IVF? Drive her to her appointments and back. Give her neck rubs and massages. Make her chicken soup! 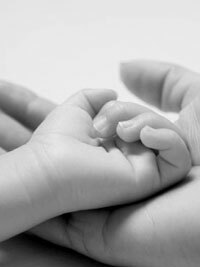 Why do IVF patients need a dedicated acupuncture clinic? Women doing IVF often need to be able to schedule or change their acupuncture appointments at short notice. Ovaries are very individual things – the way they will respond to the IVF drugs which stimulate follicles to grow varies from person to person and from cycle to cycle. So the day on which the eggs will be collected can not be determined accurately in advance. Once the eggs are collected, the day an embryo will be transferred can be narrowed down a bit, but not precisely. If there are few embryos, or they do not develop as rapidly as the embryologist might expect, then a transfer might occur on the third day after egg collection. Or if there are plenty of embryos and if they develop well then transfer will likely happen on the 5th or 6th day after egg collection. And sometimes schedules at the IVF clinic don’t always go to plan, and your transfer time might be delayed. The Acupuncture Pregnancy clinic will try to accommodate the particular needs of IVF patients. The practitioners who work in this clinic have dedicated many extra hours, days and weeks of study to the particular details relevant to male and female reproductive health and to how acupuncture is best integrated with an IVF cycle. Add to that many years of experience, and the result is the best of care, in the best hands. Why should I come to the Acupuncture Pregnancy clinic instead of seeing my own acupuncturist whom I’ve been seeing for years? You shouldn’t – if you are an IVF patient you should see your own acupuncturist if he or she is available at the right times to see you during your IVF cycle and is close to the IVF clinic, and has the experience and is qualified to provide these treatments. Alternatively if he/she is unable to see you at the right time, you can have treatment at the Acupuncture Pregnancy clinic, then continue to see your own acupuncturist at other times. What if I want to keep having acupuncture in the future after my IVF cycle? The Acupuncture Pregnancy clinic is dedicated to offering treatment to women or couples who are preparing to conceive, having difficulty conceiving (perhaps due to a gynaecological condition) or who are embarking on an IVF cycle. We also see women throughout their pregnancies. If you are interested in having acupuncture for other health related issues please talk to us about a recommendation. Why would my IVF doctor recommend this clinic? By recommending the Acupuncture Pregnancy clinic your IVF doctor knows you will receive treatment based not only on the experience of Traditional Chinese medicine, but also on the findings of clinical trials. And they will know that the practitioners staffing the clinic are accredited, insured and highly experienced in these protocols. Should I change my diet when trying to conceive or during the IVF cycle? When you are taking the IVF medication your body, especially your liver, is experiencing additional physiological demands as it deals with breaking down the drugs and high levels of estrogen. Therefore it is a good idea to give the liver every bit of help it can get at this time. You can do this by avoiding alcohol and rich foods. Of course you should aim to have as balanced a diet as possible at the same time, with adequate protein and plenty of fresh fruits and vegetables. In terms of overall nourishment of the eggs in the follicles, it is advisable to maximize your nutrition (and your partners) for at least 3 or 4 months before you hope to be creating a new baby. Some clinics run formal preconception care programmes which advise strict dietary guidelines and supplementation with vitamins, minerals and antioxidants. The Chinese medicine approach is rather more eclectic and gears dietary advice to the individual. A wide variety of foods which are nutritious, fresh, colourful and pleasing to the palate and eaten in an unhurried manner are the basis of a good diet in Chinese medicine. We know from many studies that organic foods will provide better levels of nutrients, while being free from pesticides and other chemicals. I have been prescribed herbs by my herbalist. Is it OK to take these during my IVF cycle? Since we don’t yet know much about the interactions between herbs and IVF medications it is not advisable to combine them. Drug interactions can also occur with over the counter pharmacy products you might be taking – always check before you take anything else while you are taking IVF medications. In some cases where a patient has completed 3 IVF cycles with poor response, their IVF doctor might agree that adding Chinese herbs is applicable, in the spirit of trying everything. What about my husband taking herbs? If your husband has been prescribed herbs by a qualified herbalist who knows that he is attending an IVF clinic, then there should be no reason for him to discontinue his herbs. What about nutritional supplements while I am on the IVF drugs? If your supplements are vitamins and minerals and antioxidants then it is a good idea to continue them. Some supplements also contain herbs and the same proviso would apply to these as to those mentioned above.